With it being our last day in Texas, it was kinda perfect that we spotted this little guy today. 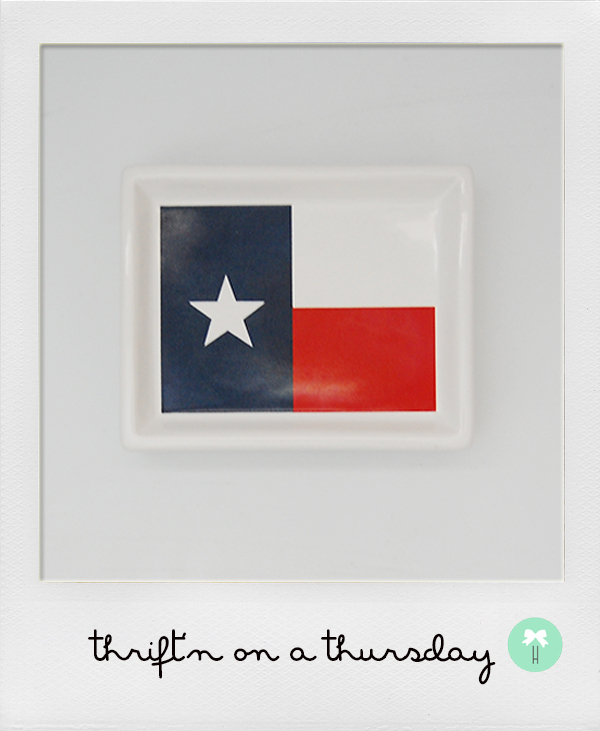 A lil' Lone Star State action to bring home with us to NYC! On a side note, we discovered on this trip that Texas schools are not only reciting the Pledge of Allegiance, but that there's also a pledge to the Texas flag! We bought this cutie for just a buck. It's questionable as to what it's true function is, but we already have an assortment of ideas ... key holder, soap plate, decor, the list goes on! Any other suggestions? ?